I had a few of these fuel drums laying around and figured that I might as well paint them up now that there are rules for them. It was a pretty simple paint job. After the basecoat, I washed black into the recesses and then touched it up after with the basecoat again. For the paint chips, I used a sponge (the kinds that used to be in the single figure packs), dabbed in in a dark grey paint, and wiped most of the paint off (much like drybrushing) and then dabbed it in places I wanted damage. Next I painted GW Leadbelcher inside the grey areas, leaving a bit of grey around it. 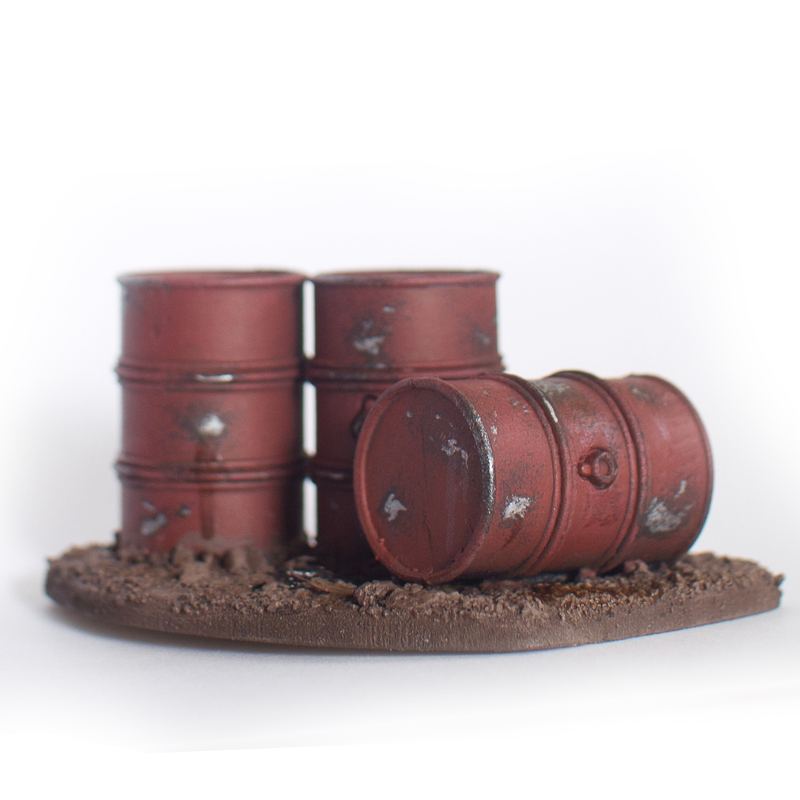 I used Gryphonne sepia to make the rust streaks. Finally, I painted the oil leak black, and then added gloss varnish over it. 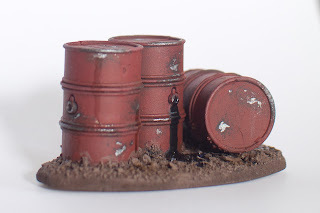 Cool tutorial on making terrain. Like the paint chip effect(I need to try it out). Thanks again for the comment on my blog! Thanks! If you do anything with either of those effects, put a link in the comments to some pictures. It would be cool to see what other people do with it. I'm going to try to use it a bit on my Land Raider as well, so I'll post the WIPs whenever I get to that.